Another card for the Hope You Can Cling To Challenges over at Splitcoast. This time, Kittie has asked us to make a card with a window. 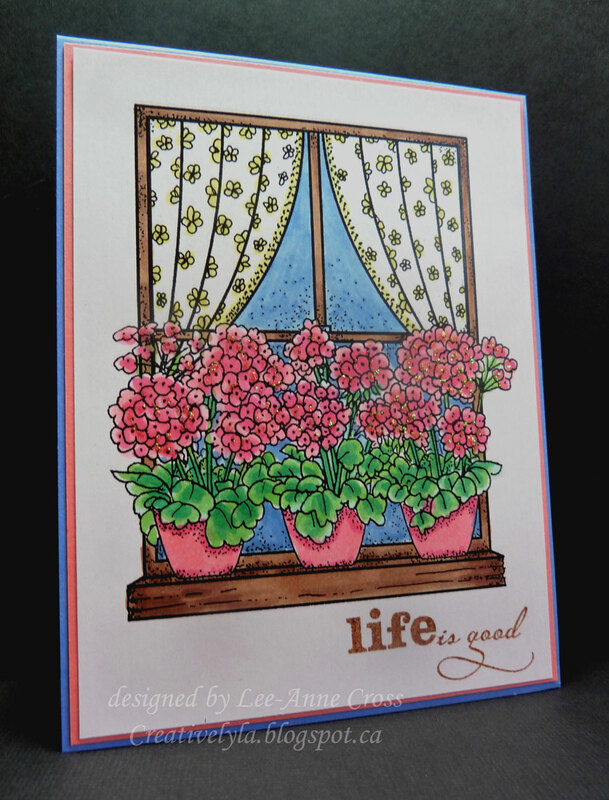 I used this wonderful digi from the Sketching Stamper. It’s been colored with Copics; then I added some Stickles to the flowers in a really random fashion. When I color an image like the multitude of flowers in these pots, I use a very loose style of coloring, more just dotting on the color here and there rather than trying to get too detailed. Makes it much easier to color.